Graduate assistant Emmanuel Ayiku works at the Student Success Center on 9th Street where he said he helps Eastern students strive and discover the right career paths for them. He said he graduated from Eastern in 2018 with a major in public relations, but before that he tried nursing. Nursing taught him a lot about self-motivation and taking necessary time to choose the right career, Ayiku said. He was just barely passing his nursing courses even though he was putting in so much in work to excel, he said, which made him rethink his education goals. He paused and asked himself what it was he was good at and what he loved doing, and that is when he realized he had to change his plans, he said. He said he also tells students to not let money be the motivation when picking a major because he knows from experience that money is not a substitute for happiness. At the Student Success Center, Ayiku said he sits down with students to discuss what goals the students have, and then after a list has been written, the graduate assistants do what they can to help students reach said goals. In addition to the Student Success Center, he said he teaches EIU 2919—a class for students on academic probation. In the class, he said he tries to keep students’ individual concerns in mind and in lectures. Without saying anyone’s names, Ayiku will cater his lectures to the individual students and then broaden the scope of the lessons, helping everyone else in class, too, he said. Sometimes, students find themselves in tough situations at home, Ayiku said, which can lead to problems at school. With this in mind, Ayiku said if the students who come in for help feel comfortable enough, he is more than happy to lend a listening ear and talk about their struggles. He said he always shares his own experiences to build relationships with his students. Even though Ayiku said he loves helping people, it is always hard to see students struggle to accept his advice and follow through. The student, Ayiku said, is the one person who has the power to make their dreams come true. If a student does not listen or follow through, they are the one factor that leads to inevitable failure, he said. 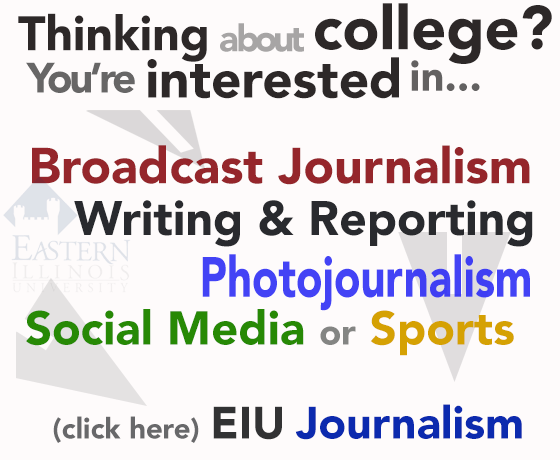 According to the Student Success Center flyer, these workshops last from 6 p.m. until 7 p.m. in the Arcola/Tuscola Room of the Martin Luther King Jr. Univeristy Union. The next workshop is Tuesday, and Ayiku said he would highly recommend any student who is struggling, academically, personally or both, to attend.